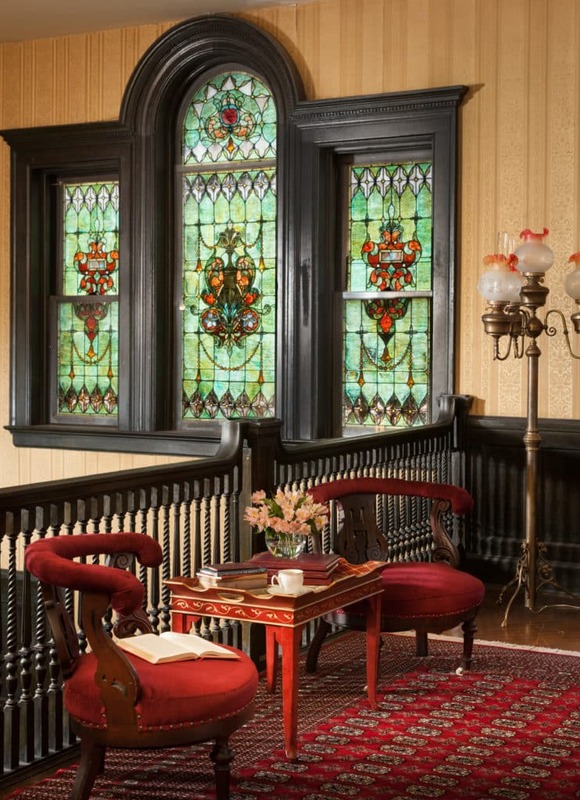 Eight-foot-tall stained glass windows greet you as you enter Vrooman Mansion’s two-story foyer. They are original to the mansion that is celebrating its 150th anniversary this year. In the style of the 19th-century revival to the classic craftsmanship, our stained glassed windows are richly colored yet translucent with leaded shaping lines. When the sun shines through them, even the tucked-away, English-style inglenook glows. They cast a magical glow of colored light. But at over 100 years old, it’s not surprising that some special attention is needed for these special windows. The historic and delicate glass is vulnerable to pollution and age. The stain and metalwork are also susceptible to deterioration. But the damage can be mitigated and prevented and often even reversed. 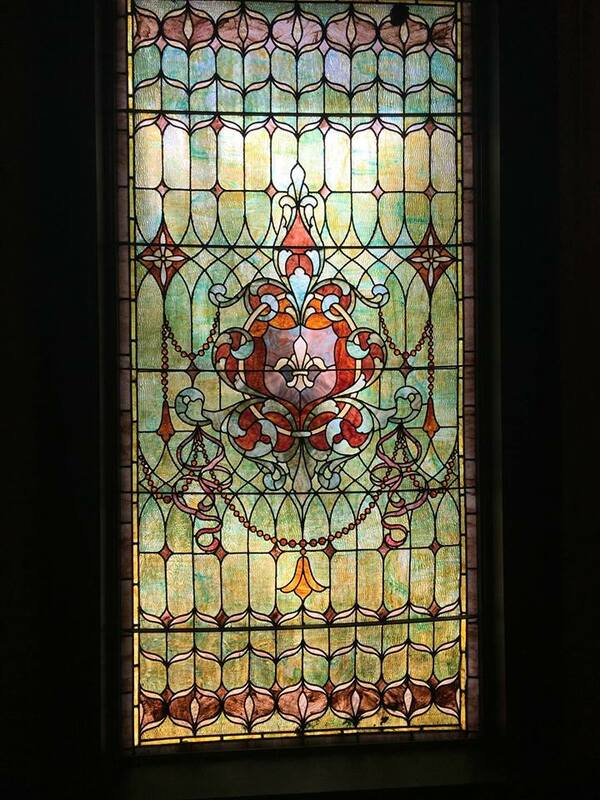 It requires that stained-glass restoration professionals remove and transport the windows to their studio where they will carefully document and disassemble them, removing each window as well as the leading and cement structure. They will clean and precisely reassemble them, adding support bars as necessary and a protective exterior window. This all comes at a cost. As this era’s caretakers, we are hoping to preserve this authentic piece of Vrooman Mansion history, but we need your help. Our goal is to have work done on the twin windows this year. 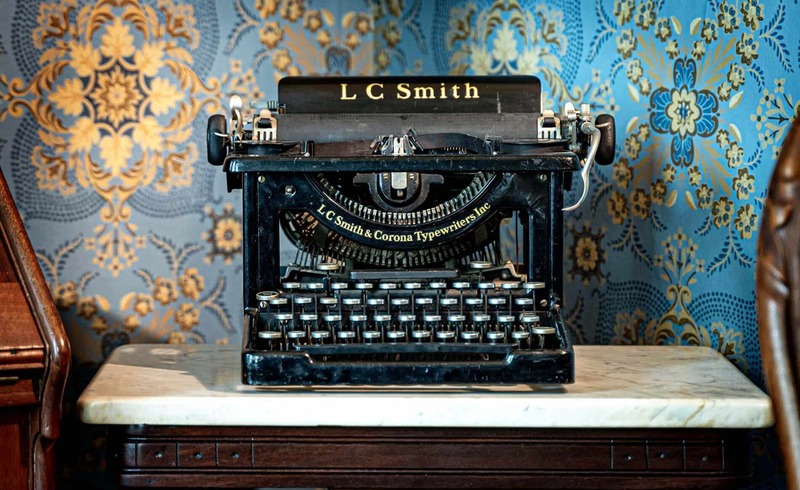 We invite you to join us for Mansion events throughout the year for which proceeds will go to the Restore the Windows Fund. Also, donations can be made via our Go Fund Me page. But we’d really like to have you come visit so we can share with you the beauty of the bed and breakfast and the light breaking through yonder stained glass windows. 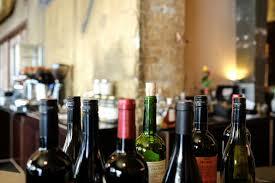 Coming up Thursday, April 25 from 5:30-7:30 p.m., is the Wine for Windows benefit. Enjoy an evening of wine tasting, including sampling from area wineries, along with light appetizers and a cash bar. Tickets are $40 per person. For more information, call 309-828-8816. It’s a marvelous excuse to start your weekend early. Stay the night at Vrooman and enjoy all the ambiance of the mansion and a scrumptious breakfast. Relax with us all day or explore Bloomington and Normal. Friday afternoon is a great day for antiquing. This entry was posted in Special Events, The Mansion, Uncategorized and tagged antiquing, donations, fundraising event, stained glass window, weekend, wine tasting, wineries by acorn. Bookmark the permalink.